Join the Wash Don't Wipe Revolution with the Swash 1200 luxury bidet toilet seat. Made with the highest quality components and backed by Brondell's industry-leading customer service, the Swash 1200 bidet toilet seat is affordable luxury that easily installs on your existing toilet. Loaded with intelligent design features that provide a personalized experience the Swash 1200 is full of cutting edge technology and was designed specifically for North America. With a sleek mirrored surface inside and outside, this 25-inch frameless cabinet is a versatile option. The two mirrors on the front doors have a 1/2-inch bevel and appear as one larger mirror for a design that integrates easily into any bath or powder room. Interior glass shelves are adjustable to accommodate your toiletries. Highline Comfort Height Class Five Elongated Toilet Bowl Only In White Innovative features and performance have made Highline toilets an industry benchmark since 1966. Continuing the tradition is this Highline toilet bowl, which provides a standard chair height and an elongated shape for maximum comfort. This bowl coordinates with several Highline tanks to create a complete two-piece toilet. 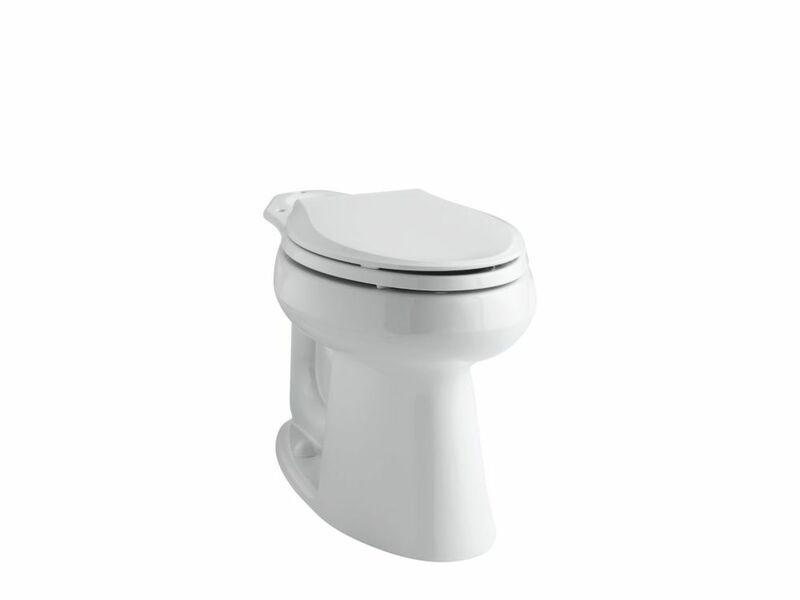 Highline Comfort Height Class Five Elongated Toilet Bowl Only In White is rated 4.6 out of 5 by 14. Rated 5 out of 5 by HomeDepotCustomer from Very pleased with the toilet .... Very pleased with the toilet . Rated 5 out of 5 by Eah from Unforntuately the bowl had a hairline crack and had to... Unforntuately the bowl had a hairline crack and had to be returned.But that was not Home Depot’s fault.Cracks happen.But the ordering process was fantastic from ordering to pick-up to return.No regrets.Will always turn to Home Depot for my needs. Rated 5 out of 5 by Kim from Very pleased with this new toilet. Perfect seat height,... Very pleased with this new toilet. Perfect seat height, one flush cleans bowl completely.